Hanoi (VNA) – The Ministry of Agriculture and Rural Development (MARD) has announced that it already granted certificates to 28 agricultural businesses applying high technologies. Of them, nine firms specialise in growing vegetables and flowers, while 8 others breed animals and 11operate in aquaculture. The MARD is devising a draft decision amending and supplementing Decision No. 69/2010/QD-TTg regulating jurisdiction and procedures of recognising high-tech agricultural firms. Accordingly, the provincial People’s Committees will be authorised to grant certificates to eligible enterprises. 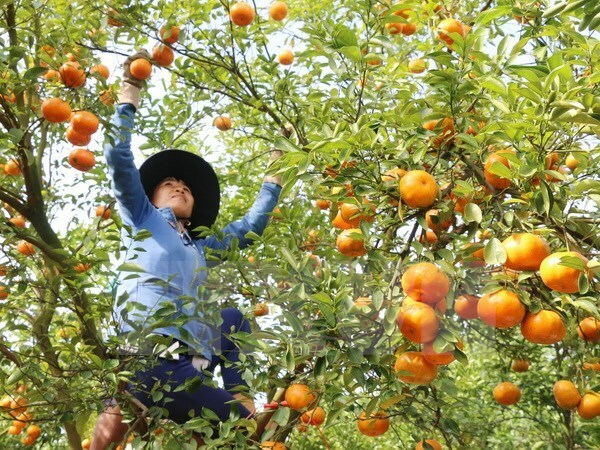 Apart from Hau Giang and Phu Yen high-tech agricultural areas already approved by the Prime Minister, the provinces of Thai Nguyen, Thanh Hoa, Lam Dong and Quang Ninh have built schemes to establish high-tech agricultural zones to submit to the MARD for approval. The southern province of Binh Duong, the central province of Khanh Hoa and Ho Chi Minh City are now home to several effective high-tech farming models although they have yet to submit documents to the Prime Minister for endorsement. The Trung Son high-tech agricultural zone based in the southern province of Kien Giang, which raises white-leg shrimps on an industrial scale, is the only one that has gained recognition.